You can find a lot of companies transitioning from on-premises to cloud-based communications platforms, but perhaps not as thoughtfully as U.S. Retirement & Benefit Partners (USRBP), an independent national financial services firm. As Kevin Dunn, CIO/CISO at USRBP, shared earlier this week in an Enterprise Connect webinar, the company embarked on a migration that featured adoption of both UC as a service (UCaaS) and contact center as a service (CCaaS) from 8x8. Integrating the CCaaS element, in fact, was a critical early step -- and one of the reasons I consider USRBP particularly forward-looking in its cloud communications strategy. Another noteworthy distinction is that USRBP made integration of business applications with the new system a must, as Dunn discussed with his fellow webinar participant, Irwin Lazar, VP and service director at Nemertes Research. If you didn’t get a chance to attend, the replay is certainly worth a listen -- a great opportunity to hear two knowledgeable technologists discuss the ins and outs of a cloud transition and best practices for migrating from the premises to the cloud. At a high level, Dunn recapped what made USRBP’s cloud migration successful, beginning with setting expectations early. Be realistic with timelines, follow best practices, and utilize testing tools to pre-qualify remote workers, he advised. In addition, expect the best and plan – and train – for the worst, he said. Also critical is identifying key business drivers. 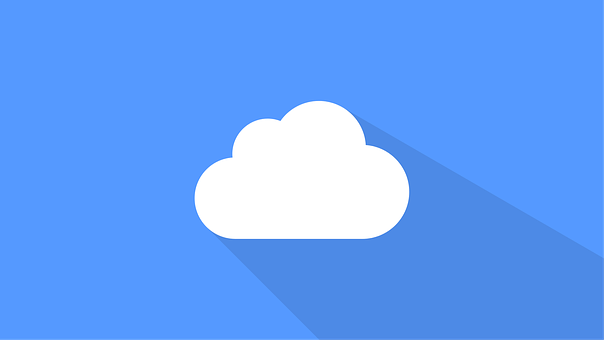 For USRBP, the ability to integrate business applications into the cloud system was essential, as noted above, as well as two other must-haves. The cloud platform needed to support the company’s remote workforce and allow the seamless integration of knowledge workers into the call center workflow, Dunn said. Lastly, Dunn attributed USRBP’s success to the strong partnership and support it receives from 8x8. As I share in my latest “Keeping Up With EC” blog post, some of Dunn’s and Lazar’s talking points reflect longstanding migration principles and best practices around expectation-setting, planning, choosing your vendor wisely, and knowing what you can expect from that partner. However, as Dunn’s second point makes clear, enterprise IT/communications organizations now must consider today’s software-focused technology as inseparable from the wider environment. Re-creating the communications silo as it existed in previous generations might be technically feasible, but doing so could be more dangerous than stepping into the unknown of business integration. The one thing you don’t want to do in migrating to a cloud communications service is make choices that turn out to be limiting factors -- leaving your users to wonder why they can’t do things that peers elsewhere can or that they can do in their consumer/personal lives. You’ll find more conversations from leading end users at Enterprise Connect Orlando 2019 -- starting with our just-announced keynote from Joe Park, chief digital architect and VP, Associate Digital Experience, for Walmart. Won’t you join us in Orlando the week of March 18 to hear from your peers? Register today using the code NJPOSTS to save $200 off the current conference rate.